Franz Timmermans, first vice-president of the European Commission, “plays the role of chief European Union official” while he is at the top of the “Socialists’ pro-migration [EP election] list”, the head of the Prime Minister’s Office told a press conference on Friday. 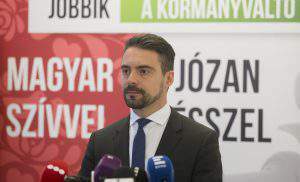 Gergely Gulyás insisted that applying those “double standards” was a result of “customised legislation” in the EU, and said as an example that the head of the secretariat of Hungarian MEPs in Brussels would be required to suspend his position if he were fielded in the election. Gulyás said Timmermans enjoyed “revenues equal to 44 million forints (EUR 138,000)” while “promoting the pro-migration list”. 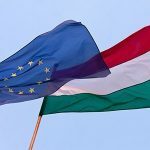 Concerning an upcoming visit by Timmermans to Budapest, Gulyas said the EC’s first vice-president would be “witness to a wedding between the Hungarian post-communist Left and anti-Semites”. 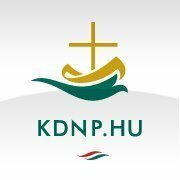 He added that Hungary’s Left “identified with anti-Nazism due to its post-communist roots” while it was “ready for wedlock with a party they see as ultra-right”. 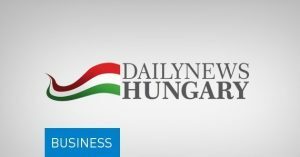 Concerning an upcoming visit to Budapest by US Secretary of State Mike Pompeo, Gulyás said that the US is Hungary’s “greatest ally in NATO” and added that Hungary has “no similar alliance with Russia but a reasonable business partnership is in the interest of the whole of Europe”. Answering a question, Gulyás said it was “no surprise” that Pompeo’s agenda includes meetings with “organisations also financed from the US”. According to press reports, Pompeo will meet leaders of the Hungarian Civil Liberties Union (TASZ) and the Helsinki Committee. On another subject, Gulyás said that the government appreciates Turkey’s role in stemming illegal migration and it would “meet all its payment obligations to facilitate that role”. He also voiced doubt that Frontex could stop a possible wave of migrants from North Africa at the EU’s external borders. The Hungarian government has called on the European Commission president to withdraw EC vice president Frans Timmermans, who is the spitzenkandidat of the Party of European Socialists, from the commission’s work for the duration of his active campaign to become commission president, read more HERE. "The #European #Commission is employing double standards against #Hungary, the #Czech #Republic and #Poland"
"Timmermans remarks had "gravely offended our country, the Hungarian people and the Jewish community here"
The founder and editor-in-chief of Capitalist Exploits Independent Investment Research does not leave a whole section of the EU and the euro zone in a ‘special insider’ report. 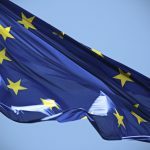 Chris MacIntosh advises its customers and other investors and investors to dispose of their euro interests, because according to him, 2019 will be the year that the EU will be shaken further and in the following years it will end up with a huge systemic crisis that will resume our continent. will shake to its foundations. As a result, there will soon be no more money for the extremely costly, but totally absurd CO2 / climate policy for the citizens, because hundreds of millions of Europeans will have to make enough effort to continue to eat and keep warm. The euro zone ends up in dangerous water, writes MacIntosh, and that is mainly due to the high levels of debt and the weakening of Chinese economic growth. It is surreal that if we look at the original goal of the EU, it is impossible to recognize it today. The economic build-up after WW II and the establishment of the EEC caused an unprecedented prosperity explosion. The European countries were engaged in lively trade with each other, but retained their sovereignty, borders and customs, and especially their own culture, traditions and identity. Countries with traditionally weaker financial policies such as Italy could depreciate their own currency to remain competitive. 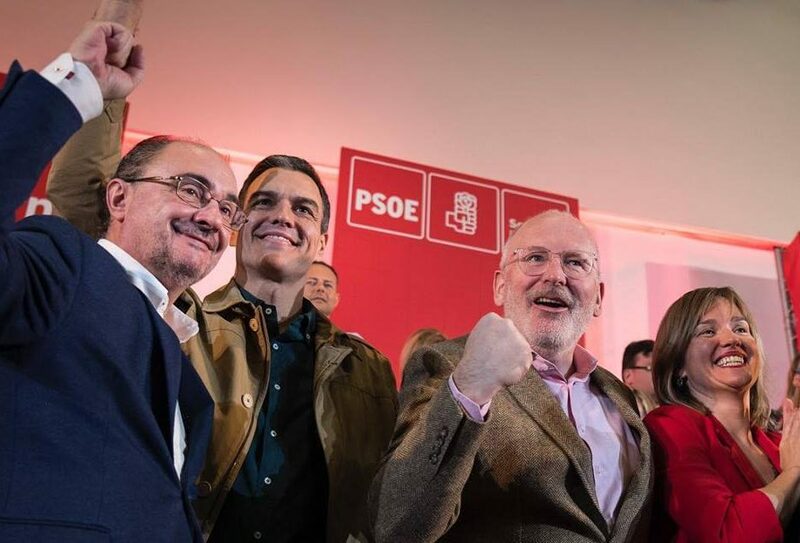 After this period of tremendous prosperity, however, an equally overconfident and capital mistake was made by putting unelected technocratic ideologists at the helm who began to centralize political, economic and financial power in Brussels. Worse still, they wanted to turn one of those successfully operating independent nation states into one large, borderless melting pot. That is why the euro was introduced and – at first secretly, later openly – decided to turn Europe into a mass immigration continent for the Third World. The financial expert calls the euro a pernicious beast. The European single currency has structurally been set up in such a way that its total collapse has been built in from the start. Only the question when that will happen remains unanswered. The biggest nail on the coffin of the euro zone is the deceptive growth of export champion Germany (which the Netherlands has a lot of attention on). The weaker Member States, in particular Portugal, Italy, Ireland, Greece and Spain, were suddenly able to obtain (state) loans for much lower interest thanks to the euro. With this money, these countries financed their imports from the more decent northern countries and their often too generous social paradises. These weaker PIIGS countries thus incurred enormous trade and budget deficits and their sovereign debt increased explosively. This imbalance was not permanently restored after the 2008 crisis, but soon improved again after a small correction. The PIIGS therefore ended up in big problems because by entering the euro they could no longer depreciate their own currencies in order to make their exports cheaper and more attractive again. The naïve, crucial fallacy of all europhiles that the weaker brothers would show more discipline by themselves coupled with the artificial economic growth caused by the sharp rise in internal trade and later, in fact, solely by the (almost) zero interest rates policy of the ECB. The entire currency union eventually becomes fatal, not only MacIntosh thinks, but with him a whole army of other professional analysts. By engulfing the financial markets and banking sector with cheap money, the ECB actually bought them out, so that this amount rose from € 125 billion to € 1,800 billion on the balance sheet. However, this has almost exclusively ended up in the banking sector and hardly, if at all, with the ordinary man. The interventionist centralized economic system of Brussels has inhibited the daily economy, because with a stifling bureaucracy you can not create economic growth. We are far beyond the point of what should have been done, writes the specialist. Think of the Greek debt crisis. Greece promised to cut back (which has never worked and will never work) and the EU promised financial aid to ‘solve’ the problem. But deep structural problems can not be solved by giving cheap loans to a heavily indebted country, just as a junkie can not be given a shot to heal his addiction. This is so unbelievably stupid that only academics could have thought of this. That is why inevitably a new European banking crisis is coming and Germany, the Netherlands and a few financially healthier countries will be given the unenviable task of ‘saving’ the weaker Member States to keep the euro zone and the EU intact. Mind you: at least hundreds of billions of euros are involved: the German banks have about € 220 billion in bonds from other eurozone member states on their balance sheets. These and other banks can only be held up by government intervention (read: with tax money). The problem is that the moment that even Germany and the Netherlands are no longer able to save the eurozone is rapidly approaching. The question is whether the Germans and the Dutch do not massively start their own Gele Hesjes uprising if they are asked to further abandon their already under pressure in prosperity and to transfer them to Brussels and the southern debt countries so that the euro zone and the EU are up. can be kept. The crisis that awaits Europe, according to MacIntosh, is sometimes a real nasty, and something that we can not even imagine at present. In this context, he points to the totalitarian way in which the EU actually put off Italian Prime Minister Berlusconi in 2012 and replaced it with his own technocratic puppet. In the rest of the world this is called a coup, but not in the EU. This was the most dangerous moment of the past decade. And why? Because the criminals in Brussels were encouraged by it. Then they knew that they could control the member states and impose their will. If someone doubted the true intentions and dictatorial nature of the beast that is growing in Brussels, what happened in Italy in 2012 would forever have to put an end to all doubt. This action was intended as a very clear warning to all Member States: do not oppose us because we are the Fourth Reich and this time we do not need troops with black boots to get you under. We can and will take you down in our suits with ties and with our shiny shoes. The British chose just in time to leave ‘the beast’. Although? Brussels seems to be working behind the scenes successfully that Britain is getting such a big hit economically that the country must serve as a deterrent example to take all anti-EU movements and parties out of the sails. Otherwise, the increasingly strict censorship laws will silence the last freely expressed opinions in Europe. Nevertheless, the political tide is turning and that is largely due to the Yellow Hesjes in France, which this weekend for the 12th consecutive time massively on the streets have gone. Bunch of farmers, one seems to think in Paris and Brussels. They become as angry as their way of life is turned upside down and their culture (with mass immigration) is destroyed. To hell with that poor mass! But the longer the shiny shoes manage to retain the power, the greater the inefficiency of the euro zone and the greater the fear of the masses. And be assured that the worse the situation, the more drastic will be the reaction demanded by the people. And that role will definitely be fulfilled by someone. Brussels is working together with Germany and France in the EU and the rest has to obey. Merkel recently demanded that the Member States must be willing to give up their sovereignty. Macron even called the growing nationalism in Europe far-fetched and the opposite of patriotism. In other words: if we say that red is really green, then you have to swallow it. Staggering recent example was the exception that France received from Brussels to raise the budget deficit to above 3%, while Italy was in fact threatened with the harshest reprisals because it wanted to increase its deficit to just above the fixed limit of 2%. All EU countries are equal, but 2 countries are more equal than others. According to MacIntosh, the possible exit of Italy from the euro zone (‘Italexit’ or ‘Italeave’) is a much more serious option than officially admitted. If the populist and popular Italian government would decide to do so and then reintroduce the lira as recently discussed openly at a conference of government party M5S, then Germany can whistle to his billions lent to Italy. That is why we believe that everyone who still invests in European government bonds will face long-term losses. Until the big crash, or series of crashes, the spending of most eurozone member states will continue to increase and slowly but surely in a growing number of member states the debate will start or it will not be better the doomed currency union, or just like the British the complete EU. Already capital is leaking out of Europe, warns MacIntosh. That leak becomes a stream and then a deluge. Brussels will do everything to prevent this, such as introducing all kinds of capital controls, but it will not be able to stop it. Europe’s energy supply will change dramatically in the light of domestic security. Member States will once again put their national interest first. And it happened with ‘green’. Forget about the climate policy of the past 2 decades. Trump showed how to proceed with the cancellation of the Paris climate agreement. 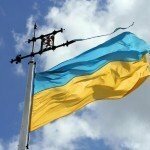 Expect European leaders to do the same to restore the energy security of their country. So you can simply forget about CO2 emissions and creatures such as the red-spotted owl. When it comes down to it, political (and energy) safety will take precedence. This means that extremely costly, prosperity-destroying climate agreements such as in the Netherlands will be closed in the trash can, and with it all plans for even larger windmills and the closure of the population of cheap and reliable natural gas. The coming crisis will be so serious that most of the remaining financial resources will have to be used to continue to feed and heat the population so that there is not a much larger uprising. Finally, political, economic and social chaos will encourage European countries to strengthen their armies and military resources. With a bit of bad luck, the totalitarian Eurocrats with their ‘Fourth Reich’ threaten to cause exactly that which, after the Second World War, definitely had to belong to the past: war. That whole sample was originally set up to ensure that Peace, Security and Prosperity would come for all Member States. What is left from this? 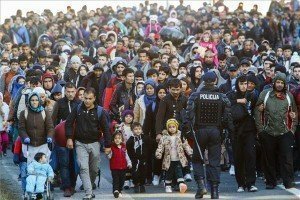 The EU seals its borders to illegal immigrants on March 1?